Imus put his waterfront mansion up for sale. It has six bedrooms, 8 fireplaces and a private beach. It's affordable too, at $30 million! For $30 million, you can have talk radio legend Don Imus’ huge waterfront compound in Westport and break a local record at the same time. The $30 mil the controversial radio personality is asking for is the same price he wanted in 2006 when it was on the market for about a minute before he changed his mind, Westport Now reports. What do you get for the price? A 10,000 square foot Georgian Revival in the Green Farms neighborhood with some pretty amazing views, a new two-bedroom guesthouse, 10 garage spaces, eight fireplaces and a private beach, among other fabulous features. If Imus gets what he's looking for, he'll be raking in some serious coin for the house. He bought it in 1997 for $4.6 million, did some work that was completed in 2000, according to the Wall Street Journal. The $30 million would also set a new record for Westport property and win the battle of the talk show hosts. Phil Donohue has the record of $25 million, Charles Zylstra of Nicholas Fingelly Real Estate, told the Wall Street Journal. The sprawling beauty of a home will also cost the new owner more than $130,000 a year in taxes. Yikes! 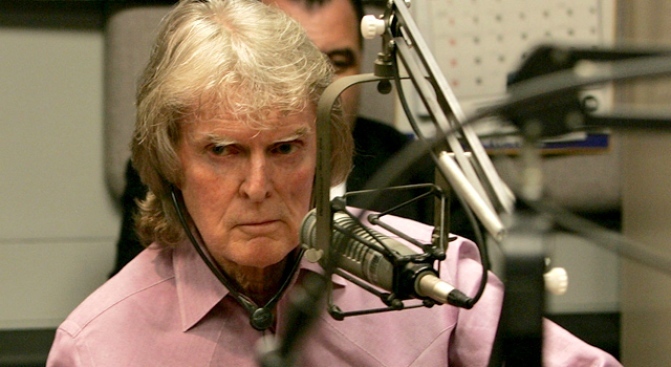 The 68-year-old Imus, at one point, was taking in up to $10 million a year for his radio services. He recently announced that he is battling prostate cancer. Take a photo tour of the waterfront mansion on a site for Connecticut's finer homes.